I am very pleased to write my first blog post about aomething very special for me! The good news first, I did it! 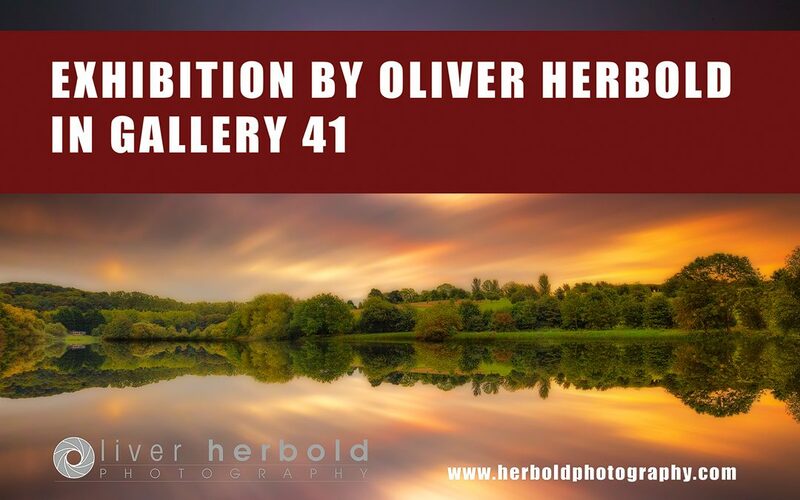 My very first photography exhibition is on display at Gallery 41 in the Dean Heritage Centre in Soudley, Forest of Dean, Gloucestershire. Naturally I am very proud of the achievement and that is for several reasons. First of all I had no idea what it takes to exhibit and how it works. From the outside it seems effortless, all you need Is a few prints, right? Now I know that I couldn’t have been further away from reality. The second reason is that everything had to happen in a very, not to say extremely, short time span. That’s of course partially my own fault but let’s start at the beginning. I remember the Friday afternoon, when Guy Woodland, a mate from the Forest of Dean Camera Club contacted me. He asked me if I would like to exhibit a few photographs. The poor fellow was due to exhibit himself but couldn’t make it. At this point I’m saving you the boring details but the chronology was like this: From the initial offer to have one display board available, we started talking about two or three boards. All of a sudden I was offered the entire exhibition for my own work. I wasn’t thinking it through really but simply agreed to go for it. Contact to the venue was made the same day but I didn’t get a response immediately. A little email reminder on Tuesday lead to the contact on Wednesday morning and a visit for the afternoon the same day had been agreed. The venue is pretty cool and we agreed over the terms easily. Then there was only one question left: When are we opening the exhibition? The simple answer was ‘Monday morning’! Bammm! Now I had literally four days left to sort everything out – and that task was quite a bit of work. Luckily there was a floor plan available. So I started with planning how to group the photos I wanted to display thematically. 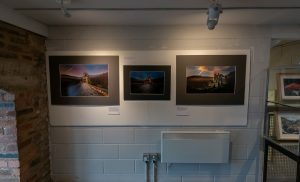 Displaying a wild mix of photographs is one thing but not to confuse the visitors of the exhibition but rather guide them through each of the panels with it’s own theme, was something I never had to think about before. Finally I ended up with an idea on that. Now all the photos of each group had to be fitted on the panels. I mean, it’s pretty pointless trying to put four large format prints on a panel that can only hold three of them, isn’t it? When I finally came up with the layouts in a way I liked, it was time to check what prints I had available and to create a list of the ones which needed to be printed. As you might be aware, a digital image for digital display needs a different type of processing than a file which is supposed to be displayed in a large format on a wall. All in all, that process took me into the middle of the night. Thanks to a recommendation of my friend Nick Stewart from the FOD Camera Club, I found a printing service that agreed to print the files in the required format next day. Not only that but they would do it for a very fair price too. This is why „First Stop Stationary“ in Chepstow deserve a huge thanks at this place! A thought on printing. Normally I am very picky when it comes to prints but with the service I normally use I would have never made it in time. 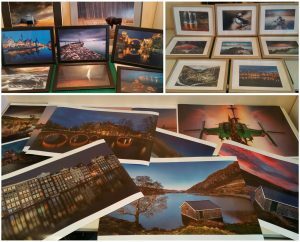 Long story short, I was really impressed with the quality of the prints and I will certainly use this service more often in the future. Alright then, I had the layout and the prints I needed but what’s the point in just putting a paper print on a wall. Not only that it doesn’t look appealing, it would also destroy the prints and make them unusable for the future. that means, they had to be mounted of course. Due to the short time frame, there was no opportunity tot put them in a nice custom frame. To give the displays stability, I put them on a 5mm foam board too. Needless to say, that this task took me the entire Friday. It is also worth mentioning that it was very satisfying to see the final result, knowing that it was absolutely worth putting all this time and energy into the task. Saturday was the day of truth and with the help and assistance of Marta, we were mounting everything on the panels in the exhibition venue. You can imagine that it was quite a relief to see that all the measurements were correct and I didn’t make a planning mistake. It was also Marta who printed the information cards to each print and attaching them to the panels was the final task we had to do on Sunday. 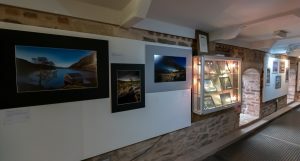 Walking through the exhibition and seeing the entire Gallery 41 filled with my own photographs on the panels was a great reward for all the hard work. It made me forget the lack of sleep and the pressure to get it all right in such a very short time. Satisfaction and happiness describes best what I was feeling and yes, of course I am very proud of it. 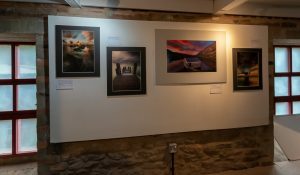 The exhibition is still running until Sunday 11th November and I’d be very happy if you could take the opportunity to pop in. Well done Oliver, looks really good. Thank you very much for that great feedback Guy!